far, to happen on WWE TV. easy to dislike is because of the two in charge. TV standpoint, better than ever. 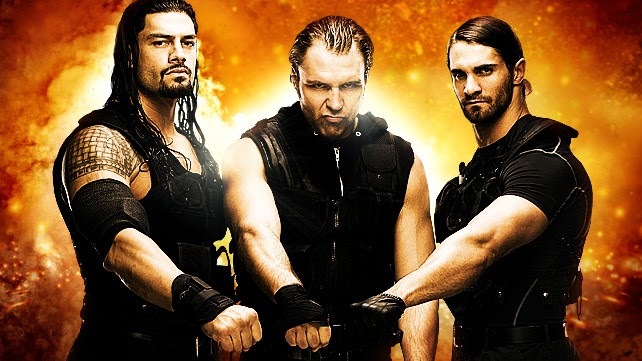 WWE Universe will always Believe In The Shield. in awe as the referee’s hand hit the mat for the 3-count on Wrestlemania night. always be remembered as the 1 behind 21 and 1.
all good things must come to an end, including 21-0.
form you have to create new stars that keep you interested in the product. Universe they are a force to be reckoned with. his sights on the face of WWE for well over a decade now, none other than JohnCena. For the next two months, we saw the rise of a brand new main eventer. compelling story built around Cena’s legacy of hustle, loyalty and respect. eventer. That’s best for business. doesn’t fit the WWE prototype of what a main eventer should be. question, independent wrestling DOES matter and can breed WWE superstars. championship material, and is an A+ player by creating the YES Movement. right back to the main event picture, where he deserves to be.